Happy Holidays! As a special treat #LOVEGOLD and InSyle is giving one lucky Instagram winner the chance to win a piece of gold jewelry, hand picked by the company. How amazing is that? and since it tis' the season to layer up and stand out in beautiful bold gold jewelry, why not share it with the world? Enter the @Lovegoldlive #LoveGold Instagram Contest and share how you style your jewelry whether it be a bold bangle, a monogram necklace, stacked rings and more for the chance to win a fabulous piece of jewelry. My personal favorite piece of gold jewelery right now is this over sized Michael Kors "Watch Hung Stop" watch that I own. 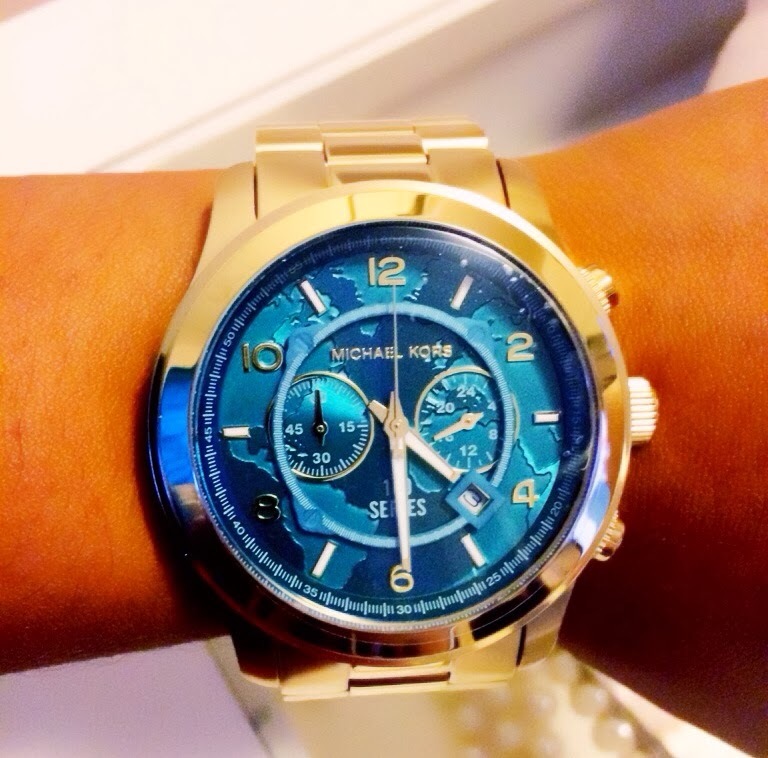 This is my second Michael Kors watch and I love his designs. Each 100 watches sold, the United Nations Food Programme (WFP) will deliver 100 meals children in need. The watch features a map of the world in this beautiful blue color, with the words watch hunger stop on the side. Make sure to follow @InStyle and @LoveGoldLive on Twitter and on Instagram at @InstyleMagazine & @LoveGoldLive for more info about the latest trends. Upload a photo of you wearing your gold jewelry to your INSTAGRAM account and include the required hashtag #LOVEGOLD. Don’t have an Instagram account? click here. Complete the entry form on the site click here so #LoveGold can contact you if you win! You only need to fill out the form once. This contest ends at midnight on 12/31, and the winner will receive a Phillip House bracelet valued at $3,950. For more information click here. Good Luck! 2 comments on "SHARE YOUR STYLE! ENTER THE INSTYLE LOVEGOLD INSTAGRAM CONTEST "
Get more info will explain everything to you, and as a first time buying diamond rings he puts things in terminology that is understandable for someone with no experience in buying rings and weeding sets. Highly recommended!!!! !